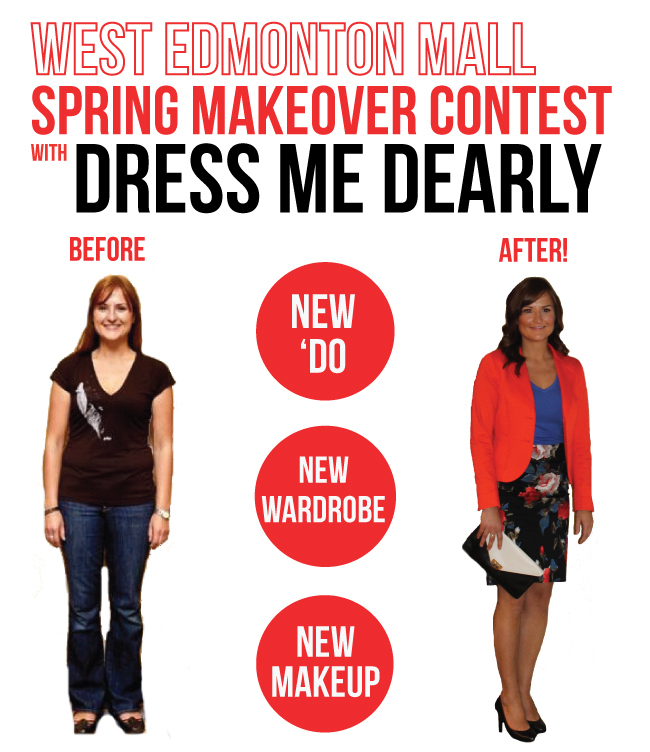 Dione Chambers was one of four winners who received a $4,000 Spring Makeover from West Edmonton Mall last week. Hundreds of applicants submitted their stories along with Dione who was looking to update her look and revamp her wardrobe for her return to the office after eight years of raising two boys at home. 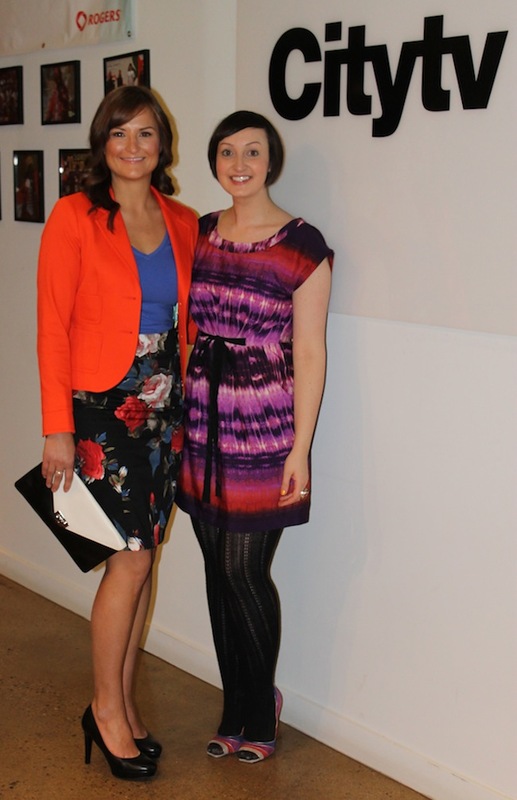 Dione's Spring Makoever prize included a new cut and colour from Rain Salon & Spa, a makeup and skin consultation plus products from Murale and a shopping trip and style consultation with Dress Me Dearly Styling. As Dione's Wardrobe Stylist, I spent an entire day shopping with her to find structured, classic pieces that would show off her incredible figure and easily mix and match together to create a variety of outfits. We also worked in bold statement pieces such as a coral blazer from Tristan to keep her look modern and on-trend throughout spring and summer. On May 4, Dione and I appeared live on Breakfast Television to talk about the makeover experience and reveal her new look along with the three other winners who were styled by Zoe Kreider and Marie Zydek. Watch the reveal here! Bubbly, caring and friendly, Dione was a delight to work with. Her positive attitude and willingness to let me take her out of her comfort zone made for an incredibly rewarding experience. Dione had me close to tears when she revealed her stunning, refreshed new look with glowing confidence on the Breakfast Television runway. If you would like to update your look please check out the Dress Me Dearly Styling website for a list of services and information on booking appointments. And for more spring fashion tips check out my recent interview in the Downtown Advantage newsletter (page 5) including my list of the five must-have items for spring. Dione getting ready for her Breakfast Television reveal! Nervous contestants about to reveal their new looks live on BTV! Dione and me, her Stylist! She looks great - you did a wonderful job! It makes me happy to look at the bright clothing - they look fabulous!!! Dione looks absolutely amazing! It's crazy what clothes, hair, and make-up can do! Dione looks amazing, good job love!! Oxygen has many beautiful options and features!!! I’m adverse to such a narrow column for writing though so I’m not sure it would be right for me. I look forward to seeing how it looks on the blogs that adopt it.